Nestling in the heart of the historic market town of Knaresborough this lovely apartment is ideal for guests looking to explore the wonderful sights of beautiful North Yorkshire. You can explore the dramatic Knaresborough Castle which overlooks the River Nidd or discover the unique properties of Mother Shiptons Cave with its Petrifying Well. 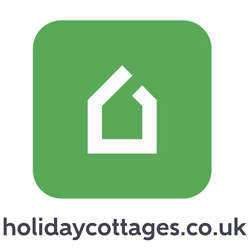 You can also relax on the Waterside or enjoy fantastic country walks through the Nidd Gorge and Yorkshire Dales. Nearby are Pateley Bridge Almscliffe Crag and the Nidderdale Area of Outstanding Natural Beauty. Harrogate is nearby and offers a great choice of pubs tea rooms and restaurants. There are many wonderful towns and villages within easy reach including Skipton Thirsk Ripon Leeds and York This delightful apartment is part of a sympathetic renovation of a grand old bank building and is accessed via a secure keyless intercom entry system. A grand hallway and winding staircase lead you away from the hustle and bustle of the town to a delightful light-filled apartment. On entering this attractive and airy first-floor apartment you will find yourself in the pretty and welcoming open-plan lounge/kitchen/diner. With plenty of comfy seating TV and a double sofa bed (at an additional charge) the charming lounge is an ideal space to relax in at the end of a wonderful day. You will also find a charming dining area and the stylishly designed kitchen is fully equipped with an oven fridge/freezer microwave and dishwasher. Exploring further you will find a spacious and cosy double bedroom. Theres also a shower room complete with a double shower and WC. Parking is free outside the property for two hours. A car park is conveniently located 200 metres away.